I’ve been swamped with work of late and was particularly peeved at having to do an errand run in town. The vital equipment so urgently needed (er, small foil tins) was for freeze-drying some bits and bobs – and bizarrely top of the list was some mud and crabs we’d caught in the mangroves. 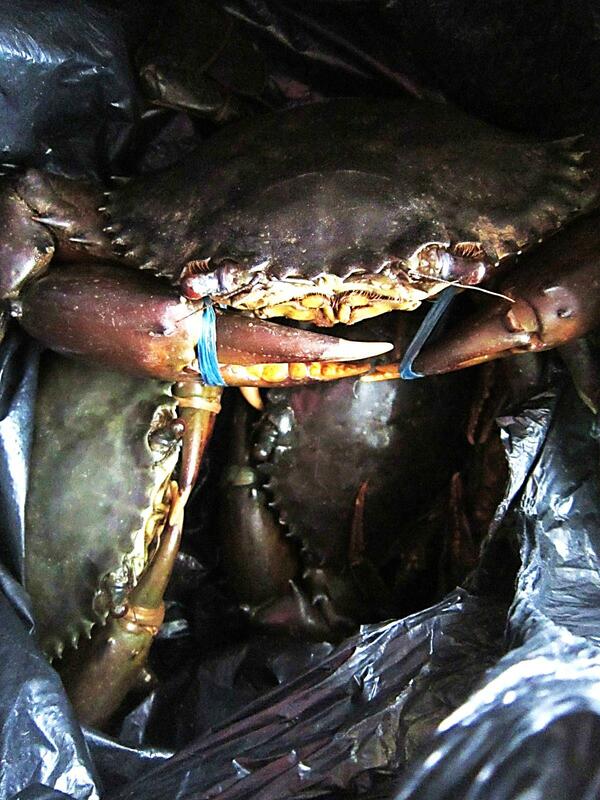 A coincidence that I came home with a bag of mud crabs from the fish market? Me thinks not. Time to get cracking. 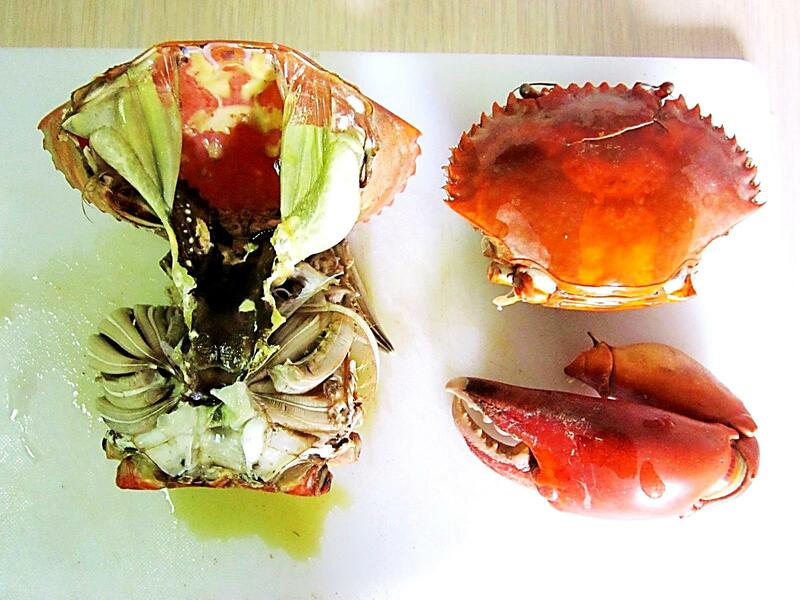 I pop the crabs in the freezer for a minute or two to (hopefully) numb them before doing the deed (lift up the triangular flap on the underside of the crab and stab with a sharp knife). 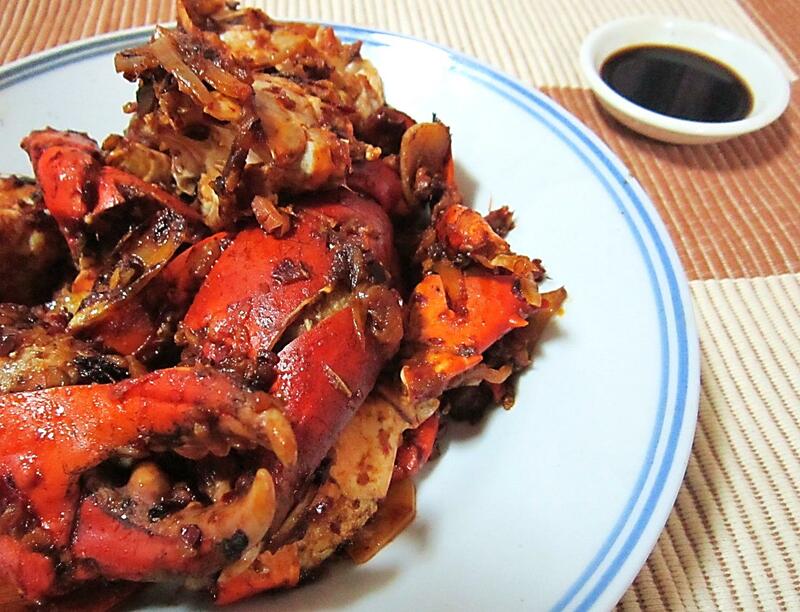 Then drop the crabs into a large saucepan of salted boiling water. 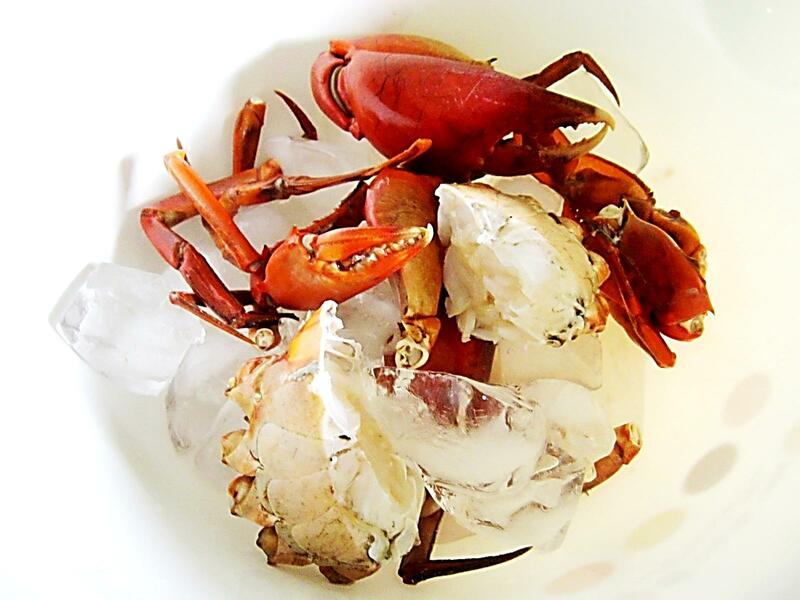 Oops, I remembered that chilli crab is fried, not boiled, so I quickly rescued two ‘blanched’ crabs from the pot and plunged them into a bowl of ice. And yes, I looked just like my profile pic after I’d finished devouring them! INSTRUCTIONS: Grind the roasted chillies, two cloves of garlic and ginger together. Fry in a pan with some oil and the belacan. Cook for a minute or two and then add the sliced onions and ginger. Fry until the onions are starting to colour and then add in the tomato paste, tamarind and sugar. You may need to adjust the quantity of tamarind to your liking as I extract mine from a block – try a tablespoon of paste from a jar, adding another if you like the sour kick. The sugar mellows it and bring the dish together with a touch of seasoning (I use a splash of soy instead of salt in this case). Add in the crab and toss together so the pieces are well coated and fry until the shell turns red (assuming you didn’t blanch them like me), which should only take three or four minutes. 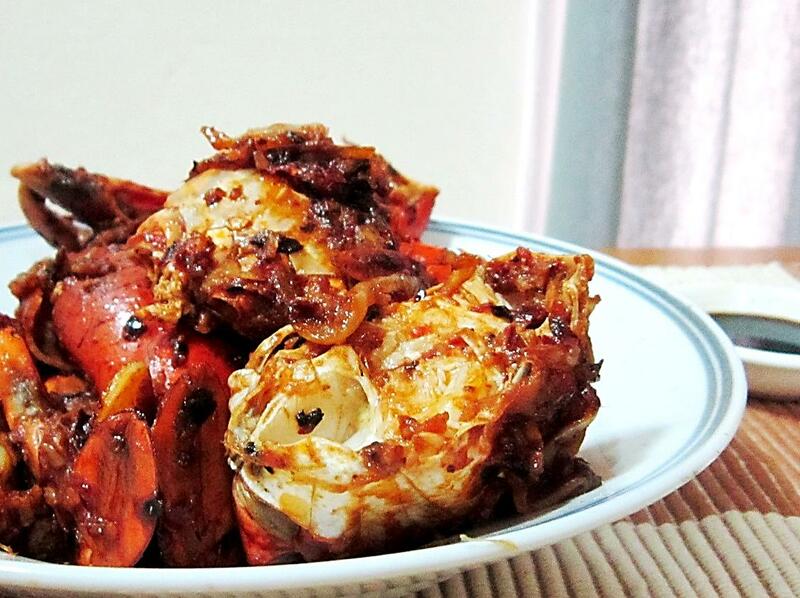 Pile the crab onto a plate, tuck a napkin under your chin and prepare to get messy. Enjoy.